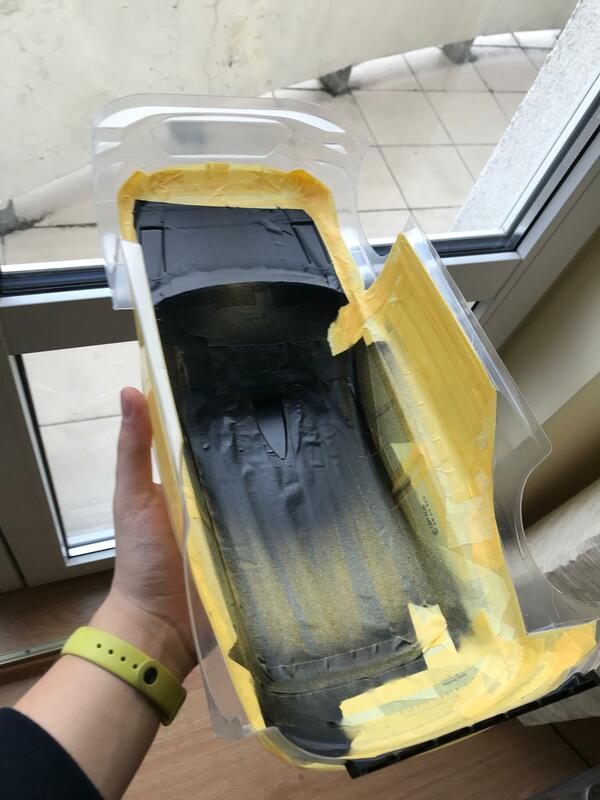 I've seen that some people were struggling with mixing body color paint for Tamiya's Hyundai i20 bodyshell. I've just ordered one from Gmarket and while waiting for it to arrive I am considering some painting options. I'd like to stick with Hyundai's livery. I've been searching for appropriate body color because I don't have any option to mix colors as Tamiya recommending in body's manual. I stumbled upon a Tamiya PS-32 (corsa grey) and I'm curious about how does it look like in real life. I found some photos on the Internet but every one is different. Sometimes this corsa grey color is kinda blueish, sometimes it's greenish. Does anyone used PS-32 before and could help me to decide? This is the easiest option (for now) to paint body color but I'd like to hear some input from more experienced Tamiya PS paints users Thank you! It’s easy enough to mix the ps colors in the cans. Just need to find some cans that take the extension tubes and pinch the caps off them. As for the corsa grey, sounds like a good option but sorry not sure on how good it’ll be I’ve never used that color. 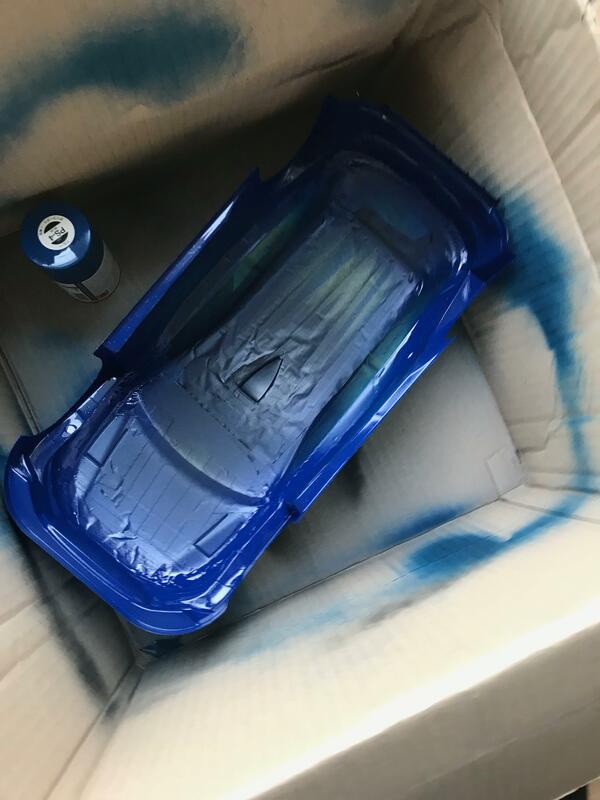 I have used it and I would say out of the 3 pics the Abarth is the closest match to what it looks like "in the flesh"
A bit too cold, so I don’t think it dried out properly between coats. Still not decided what to do with it. I think by the time you have bought enough chemical stripper to do a whole shell it might be more economical to get a new one....bad times. 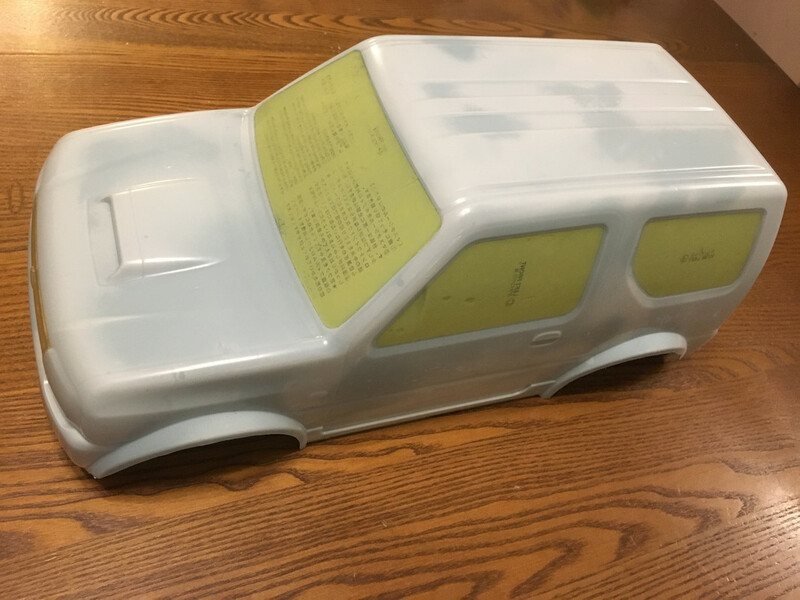 Save that window masking and you have perfect templates to make a new set. If you haven't yet peeled away the outer film, you can *very lightly* trim it with a sharp knife, and you have even more masking options to work with. It might be a way but how do I know that I mix the exact ratio? If you have access to a gram scale, simply weigh the cans. I think I finally found the solution. 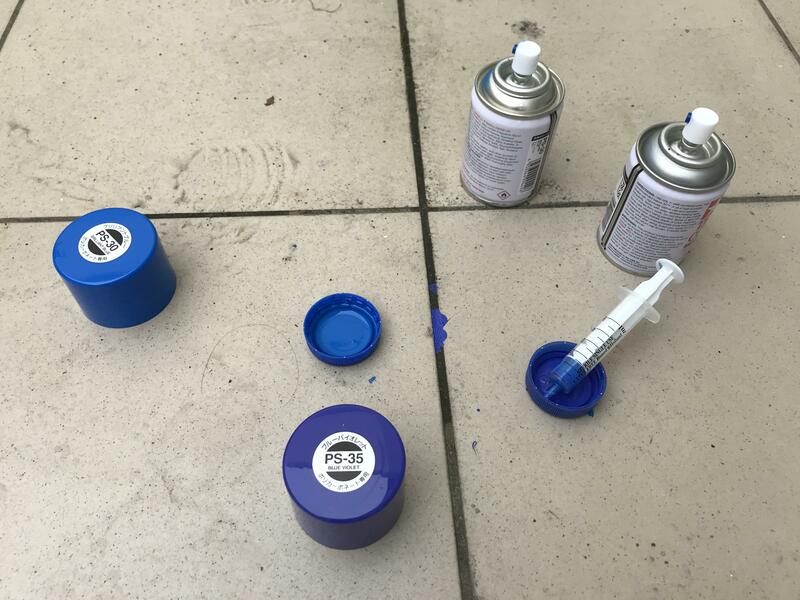 There is a product called Preval Sprayer it is a jar (to be filled with paint) and on top of it, there is a can with spray. Feel free to check it out online. I am glad that this is available in Poland so I can buy and try it out. Thank you for your input, I think I will post updates on my Hyundai body ASAP. That's an interesting piece of equipment Do let us know how it works out for you! Howdo, just wanted to see if anyone has managed to get this shell painted and what colour you used? I tempted to buy a shell don't fancy mixing paints if I can avoid it. I couldn't mix the paints, and actually didn't like that blue colour anyway, so came up with this. 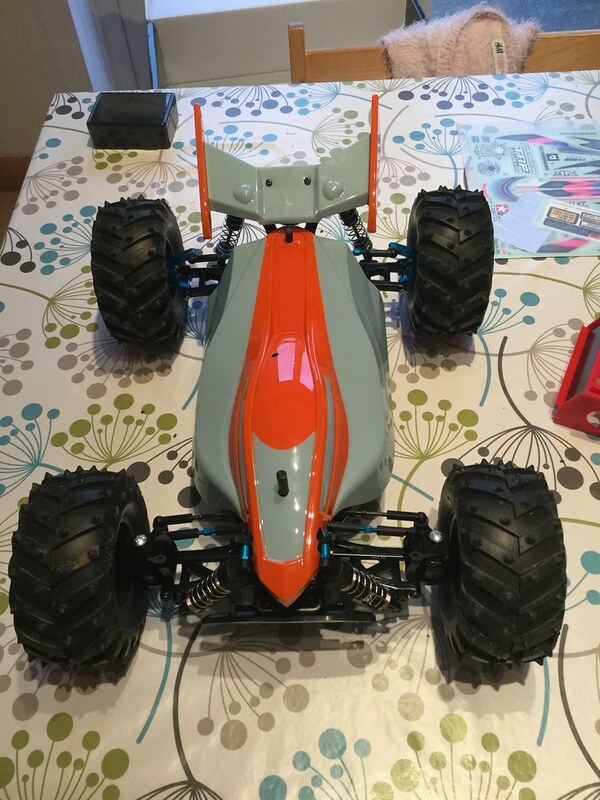 Would be nice to see another TCmember painted i20 on the forums, has yours arrived yet? Ah, nice one cheers for that. Nice to see one painted up, you've made a cracking job of it. Id like to have a go at closer to the factory colour right enough, that grey blue works really with the colourscheme decals. It looks like PS-32 is as close as I'll get without mixing paints. Has anyone on here painted one with the above colour? I've recently received Hyundai body. Now I am in a process of completing all of the necessary stuff like paints, masking tape etc. 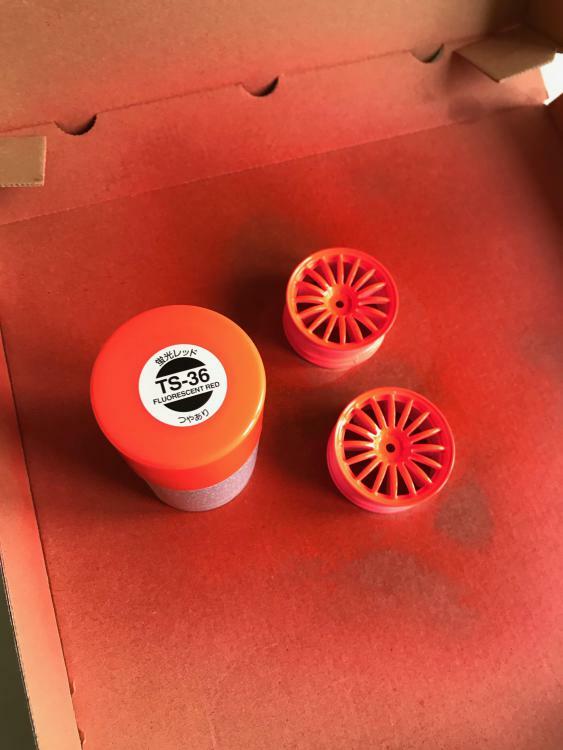 I am going to try mixing tamiya PS paints using the solution I've mentioned above – Preval Sprayer. Stay tuned! Can anyone supply all the paint sheet details for this shell. I'd like to get them in advance? Just mean the colours required to paint the shell. So I've got this far. 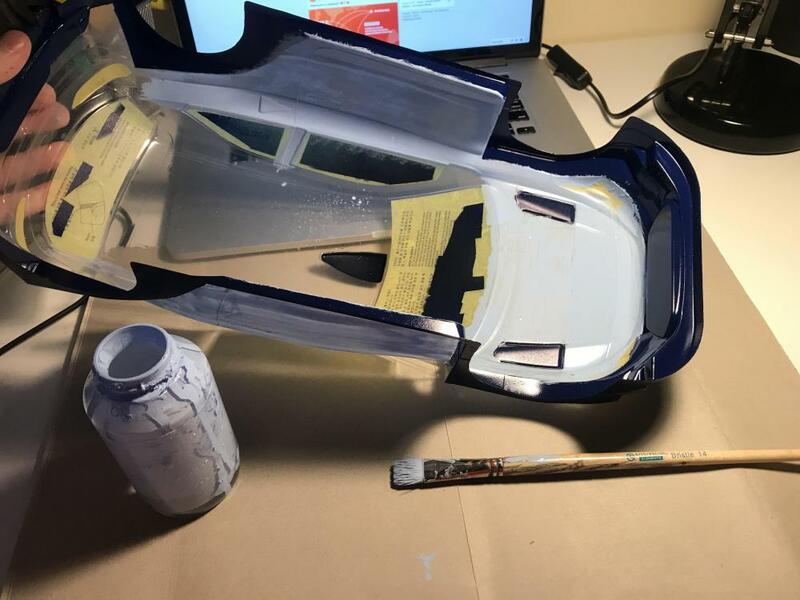 Next step is paint, don't suppose anyone has painted their i20 in PS-32? How did you mix them? Looking forward to seeing it painted! Look at the first photo from my previous reply I used syringes and ratio Tamiya provided in the manual. 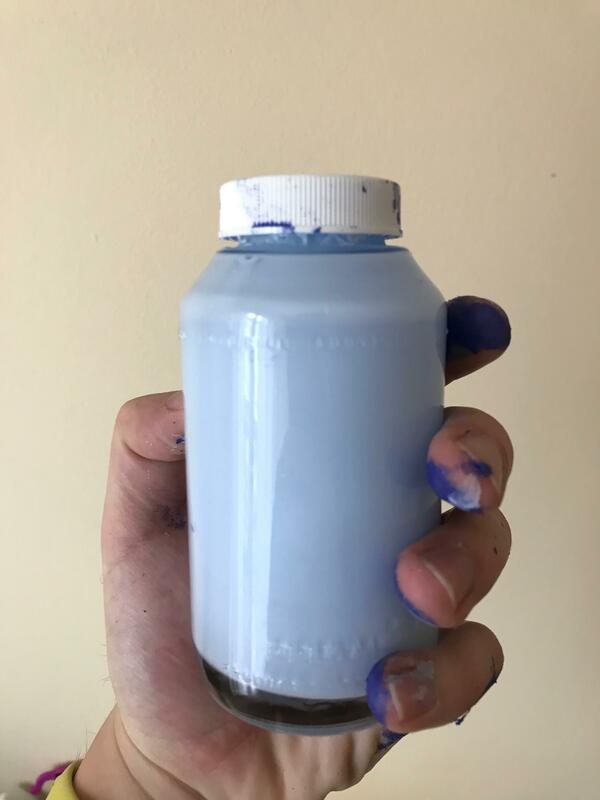 I sprayed some paint inside a large bottle cap and used syringe to get exact amount. Then I poured all colors into a glass jar (also you can see above). And that's what I want to share with you today. I painted another parts of body with Tamiya spray. And for the body color I tried using Preval but it failed. While thinking about another way to do this I sprayed wheels that came in the box with Tamiya XV-01 (Subaru '08). I came back to body shell with a PAINT BRUSH. It sounded ridiculous for me but it actually did a job pretty well!